Create beautiful, bespoke commerce experiences on one of the most powerful platforms. All in one Commerce Suite with Point of Sale, Marketing Automation, SEO Console and more built natively within the platform. 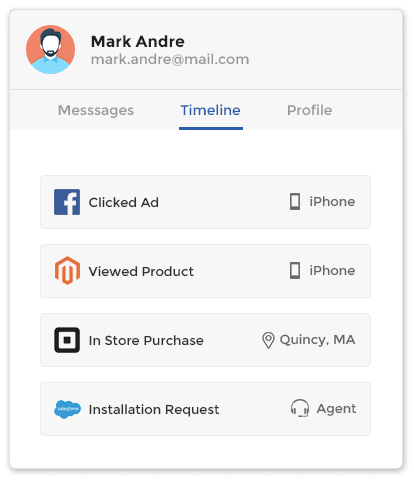 Connect customer data from multiple tools including Jetcommerce, other Cart Platforms, Email Marketing, Customer Support, Point of Sale and ERP. Create up to date, complete customer profiles to personalize customer support, campigns and in-app experiences. Powered by Richpanel.